Kids winter mittens are designed to endure outdoor sports during the snowy season, while offering protection from harsh weather temperatures. Great winter accessory for keeping your little ones warm and protected from the cold. It's thin and efficient so it doesn't add much extra weight while keeping hands warm. 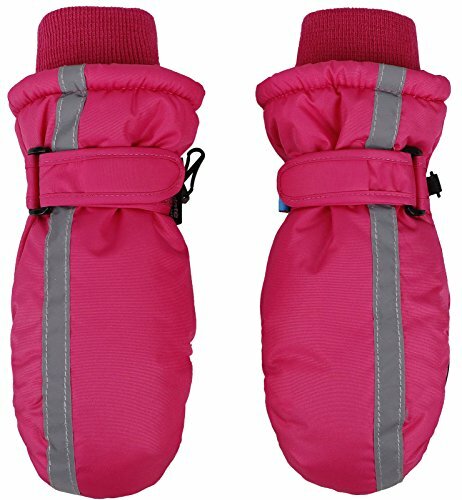 Suitable for participating in outdoor sports such as skiing, snowboarding, mountaineering,rock climbing, hiking, etc. Great gift idea for the little ones in your life.